Superdry men’s Gym tech taped joggers. Designed to be as lounge-worthy as they are gym-ready, these joggers provide you with top comfort and support. They feature stylish Superdry tape detailing down each leg, three zip pockets and a draw cord waistband to keep them held in place. 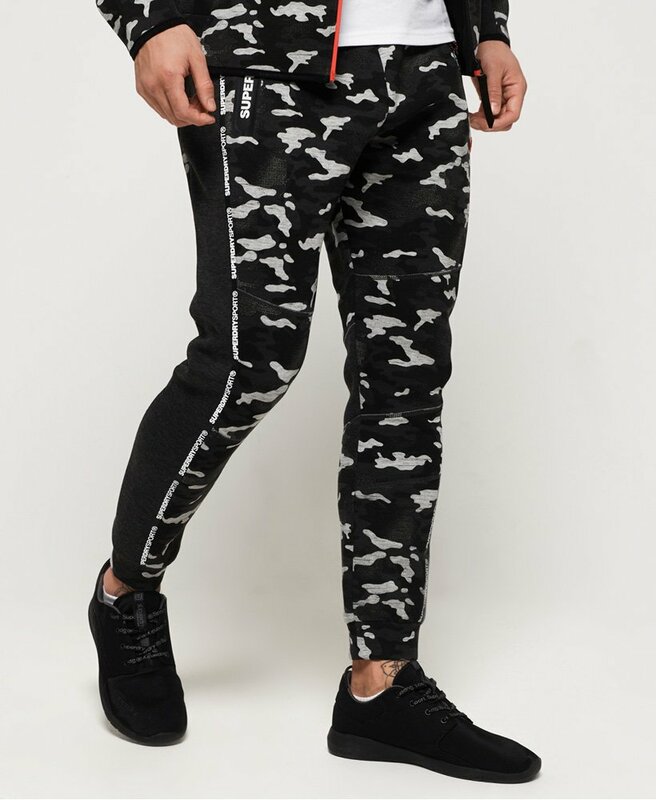 These joggers also feature elasticated cuffs, Superdry logos on the zips and a Superdry badge below the zip. For a key look this season, pair these joggers with an oversized top and a bomber jacket.